Physicists now have a little more control over those seemingly lawless photons. Researchers from the Tyndall National Institute have devised a method that would make entangling photons easier, and accelerate our journey towards the quantum computing age. “We have engineered a scalable array of electrically driven quantum dots using easily-sourced materials and conventional semiconductor fabrication technologies, and our method allows you to direct the position of these sources of entangled photons,” says researcher Emanuele Pelucchi. Researchers created quantum dot light-emitting diodes that can produce entangled photons (QDLEDs). The pyramid-shaped quantum dots of the QDLED—as in the same technology behind QDLED TV’s—are electrified using nanotechnology to entangle the photons. It is these pyramidal structures that allow physicists control over the process—something that has been significantly difficult over the years. “Being able to control the positions of the quantum dots and to build them at scale are key factors to underpin more widespread use of quantum computing technologies as they develop,” Pelucchi says. 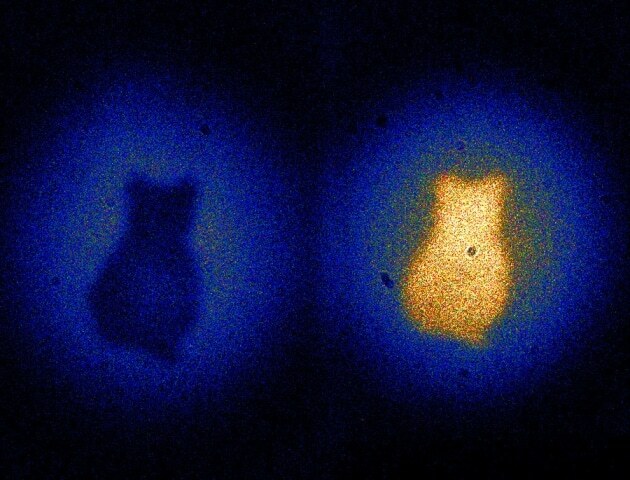 Cardboard cut-out of a cat is imaged by photons despite never going through the cut-out themselves. Credit: Gabriela Barreto Lemos. As of June this year, the record for the most photons entangled at a time was 10. Before that, the record was eight and that could only be produced at a rate of around nine events per hour. The new method is a breakthrough for the quantum computing field, since it offers physicists just a little bit of control and predictability over the process. 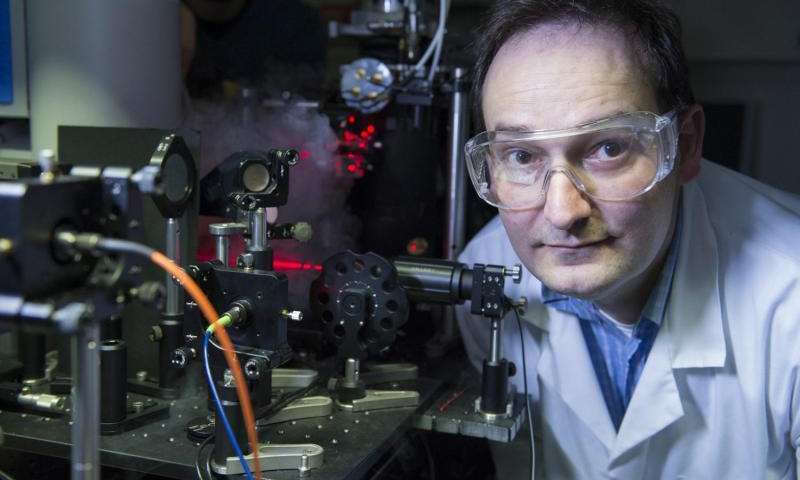 This may lead to a more efficient way of producing and collecting entangled photons. And the sooner we are able to entangle photons at a larger scale, the closer we get to the quantum computing era. As we know, theoretically speaking, a quantum computer can perform more operations than there are atoms in the universe. But if we want to realize that potential, we’re going to have to do better—far better than a 10-photon entanglement.